One of the joys of living on The Preserve is the fabulous wildlife watching opportunities that exist here, every season of the year. Spring is one of the best times to see our second largest resident predator, the coyote. Right now, coyotes appear bigger, or rather, fluffier, as they are still sporting their thick winter coats but in reality, coyotes in the western US only weigh an average of 25 pounds. What coyotes lack in size, they make up for in speed, with the ability to run upwards of 40 miles per hour. While coyotes have extremely varied diets, they are primarily rodent hunters. Their superb senses of smell, hearing and sight combine into skilled and effective rodent specialists that serve an integral part of our ecosystem. The population of coyotes fluctuates on The Preserve depending on resource availability, however, sightings seem to be up over the last two years. Many things can influence our local coyote population but the very wet winter in 2016 to 2017 and the boom in grass and grassland rodents are likely a contributor. The good news is, coyotes are happy to play their role in rodent control! Like wolves, coyotes use sound to communicate with each other, and you may well hear them before you see them. You’re also likely to come across their paw-prints when hiking our trails, but it can be tricky to tell them apart from domesticated dogs. Coyote tracks are much more spaced out with less pronounced claws and the pad marks are arranged in more of a diamond shape, compared with dogs’ oval -like imprint. As their breeding season kicks off in March coyotes become more territorial, and therefore more visible and vocal, especially around their dens. From now until May coyotes claim dens in preparation for their new litter of pups. They will remain territorial of their dens, typically situated in tree hollows or rocky outcrops, through the end of summer. Every two years females will have between 3 and 12 pups, which will be raised primarily by the alpha female and her sisters or daughters from previous litters. The alpha male will also help, but coyotes form looser packs than wolves. The pups will be able to hunt by the following fall and will disperse at around a year to a year and a half. Occasionally, female pups stay to help raise the next generation. The best place to actually see them is in healthy grasslands, like the big meadows around the Hacienda. You may be lucky and catch them hunting, triangle shaped ears eagerly pointed at the ground as they try to locate rodents by sound, before pouncing on them. Minimal human disturbance on The Preserve means that coyotes can be seen at any time of day. Almost anywhere else, you would have to go out at dawn or dusk to see them. You don’t have to report coyote observations unless one is being especially brazen. This is a good time to be more attentive to bold behavior that may be associated with territorial behavior near dens. 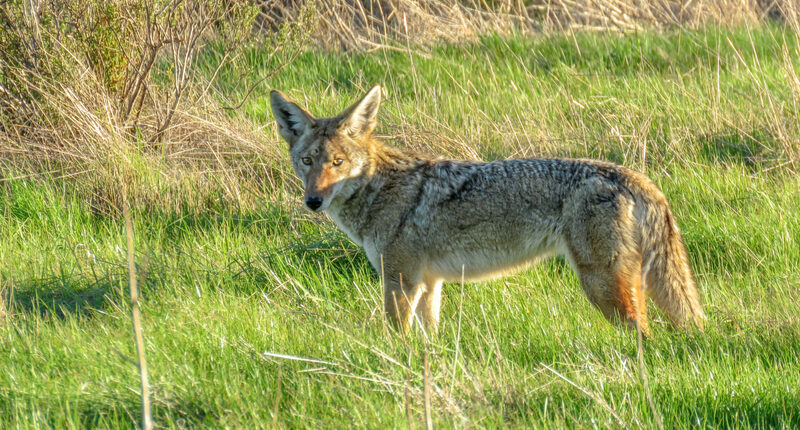 Coyotes on The Preserve, like much of our wildlife, tend to be less aggressive. In large part, this is a result of our community managing trash effectively by using animal safe containers, as well as not feeding the wildlife. Naturally we are always keen to hear about wildlife sightings or reports of unusual behavior and are happy to answer any wildlife questions you might have. 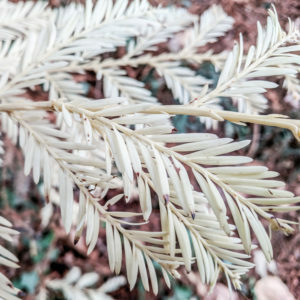 Albino redwoods are a rare sight in the forests of California. Known as ‘ghosts of the forest’, these mutated trees are unable to produce chlorophyll, and so appear white or yellow. They survive by drawing sap from the roots of the parent tree from which they sprout. A member of our grazing team, Kyle Meyer, discovered two of these trees, side by side, hidden in one of The Preserve’s many redwood groves, adding to the list of around 400 known individuals that demonstrate this unusual mutation. 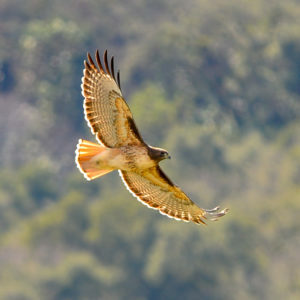 Last week, two red-tailed hawks were making quite a ruckus near the Golf Club. Their display could have easily been mistaken as courtship behavior but upon closer look the pair were actually fending off a golden eagle that was perched in a nearby oak tree. Unfortunately, the golden eagle was not nearly as cooperative a photographic subject, but we really enjoyed the rare encounter. When you capture wildlife and nature photographs, please share them on the community photo gallery in our new website. It’s ladybird, aka ladybug, emergence season. They are most active from spring until fall and hibernate in rotting logs, under rocks, and other secluded and warm places during the colder winter months. 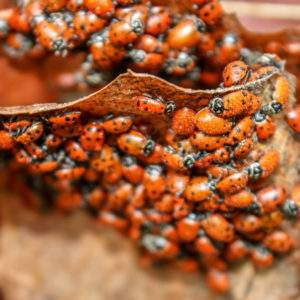 This is a great time to watch for clusters of ladybugs coming out of their hibernation. 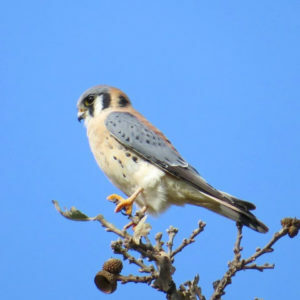 We saw the first of them along Williams Canyon trail recently. As the weather warms, they will begin hunting aphids and other plant-eating pests. One ladybug can eat up to 5.000 insects in its lifetime. Steelhead trout are phenomenal fish. Unlike salmon, they may migrate many times during their live from our rivers out to the ocean and back again. 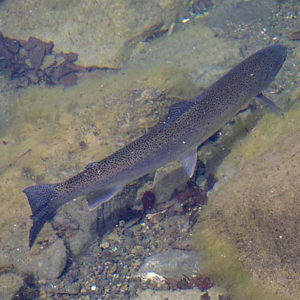 The recent rains are exactly the conditions adult steelhead have been waiting for in order to reach their breeding grounds in freshwater streams and rivers and lay eggs. The Preserve includes the headwaters of six steelhead bearing streams. Our protected watersheds sustain breeding and rearing habitat that’s important all year round for these fish. As this is a particularly cryptic species, we’d love to see your images or hear of any steelhead sightings.